"I thoroughly enjoyed this book. I would recommend this book for all ages." Linda Weaver Clarke, author of the new mystery series The Adventures of John and Julia Evans. Echoes of the ancients' power are distant memories, tattered and faded by the passage of eons, but that is about to change. A new dawn has arrived. Latent abilities, harbored in mankind's deepest fibers, wait to be unleashed. Ancient evils awaken, and old fears ignite the fires of war. 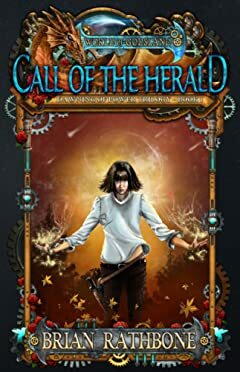 When a Catrin Volker, a teenage horse trainer, inadvertently fulfills the prophecy of the destroyer, she becomes the most feared and hunted person on all of Godsland. With the help of her friends, she must convince the world that she wants only peace.